Home / Political News / Current News / Can we witness political stability? Can we witness political stability? May be, KP Sharma Oli, prime minister in waiting, wants to live a life having significance and he is really trying to do something significant during his lifetime. But his partner Pushpakamal Dahal is thinking that he has more life than Oli and he wants to grab power at least for the next ten years. Dahal understands that his party, if it had contested the recent election without developing alliance with UML, it could probably have won only ten seats in the direct election of the House of Representatives. Alliance with the UML was thus beneficial for existence of Maoist Center for the time being. Now, Dahal is calculating plus and minus on merger with the UML. Just recently, he revealed that there was an agreement between him and Oli on sharing the power for two and a half years turn by turn. This makes clear that the two leaders had developed alliance just to enjoy prime ministerial position turn for running the government for five years by a single leader. Furthermore, as like distribution of the parliamentarian seats at 60-40 ratio, the upcoming government will also be comprised by 60-40 ratio i.e. 60 percent will be represented by the UML and 40 percent will be represented by Maoists. 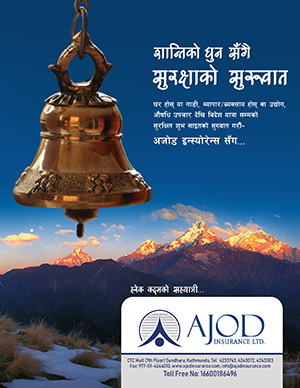 This is yet another alliance not a merger. People voted for the Left alliance for stable government and economic development of the nation. But the UML-MC alliance is trying to play with the voters again. 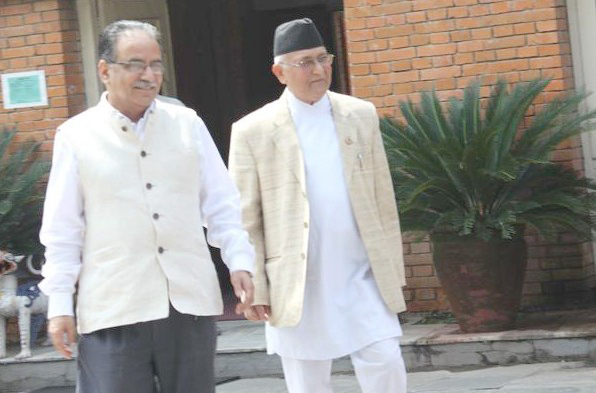 If failed to meet interests of Oli and Dahal, the alliance may break any time.